A modern take on a Bersa classic design, the Thunder 380 Combat brings a new look to the Bersa lineup. Combining outstanding features from existing models along with new ideas, The Thunder 380 Combat brings you the ultimate 380 carry pistol. Enhancements include a redesigned slide, providing for a lower profile, a more rounded trigger guard and smaller beaver tail for ease of carrying, drawing, and holstering, larger slide serrations and combat sights for a more rugged look, as well as ergonomically designed olive rubber wrap around grips with finger grooves. 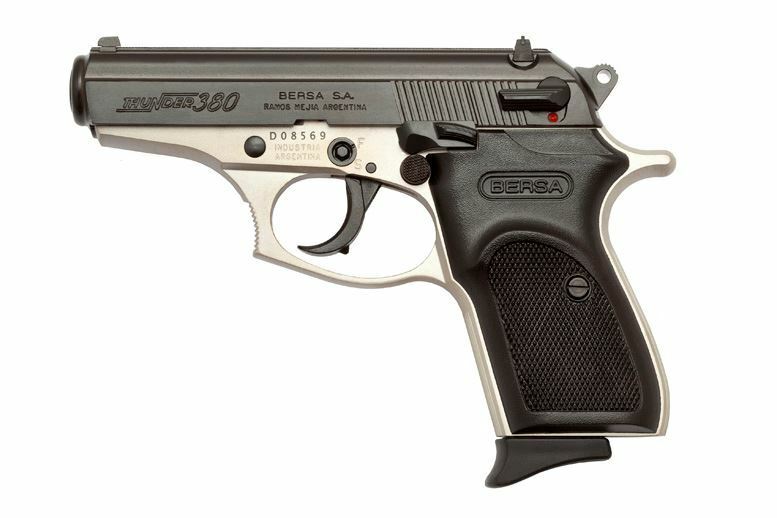 All of this brings Bersa enthusiasts, as well as new shooters, a brand new take on one of the most popular .380 pistols in recent memory! Available in Matte, Satin Nickel or Doutone finish.